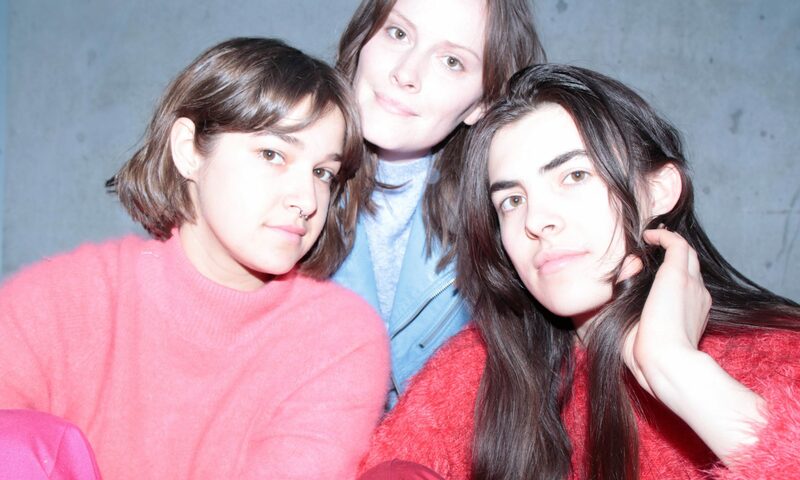 Winnipeg alt pop trio Veneer have a new single that’s perfect for soothing spirits. It comes in anticipation of a self-titled EP to be released later this year along with a Western Canada tour in July. The trio, composed of Claire Bones (Basic Nature) on drums, Talula Schlegel (Animal Teeth) on guitar and saxophone, and Sam Sarty (Living Hour) on keyboard, bass, and trombone, with the three of them sharing vocal duties, create a vibrant sonic world. “Unsure” wraps in a blanket of warmth, coloured in a palette of subdued shimmering hues. It plays out with soft and gleaming chords paired with light pattering drums and Schlegel singing in a lulling spell. The guitar lines weave up and down in scale, flowing with a supple grace. Sarty and Bones join in for harmonies throughout; their three voices have a marked distinction, one that emits a dreamy radiance. Around midway through the song slows down as a single guitar refrain comes in backed by droning keys. Schlegel reemerges and is soon joined by Bones and Sarty, the inflections of their voices ringing in sync with the glistening guitar peals, the song’s catharsis rising through melancholy melodies, its warmth through their collective force. Listen to “Unsure” and check out the tour dates below.